Something went wrong. The device is already enrolled. 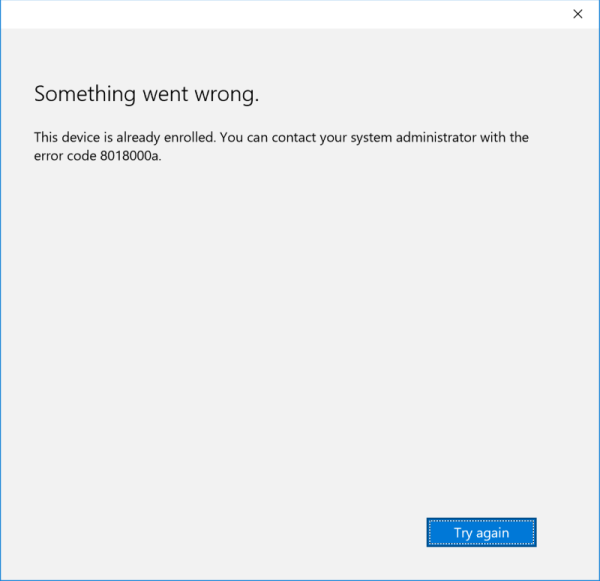 You can contact your system administrator with the error code 8018000a. 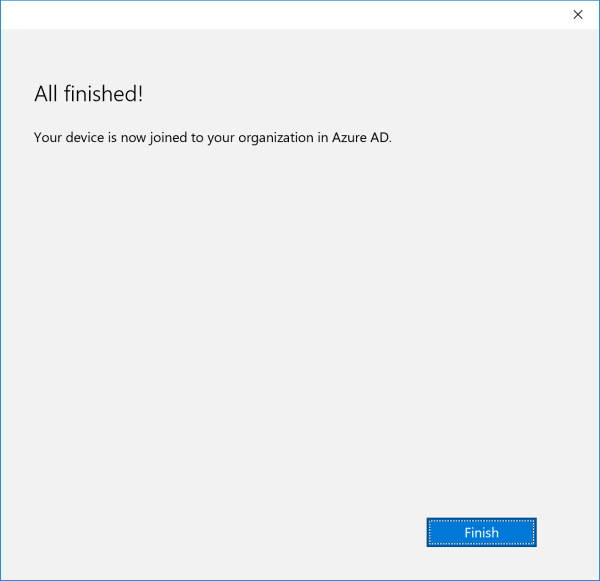 That didn’t make sense because I had recently disjoined the computer from Azure AD. I could find no reference to the object in the Azure portal either. A Bingoogle search yielded only one relevant result… the ConfigMgr client is installed. 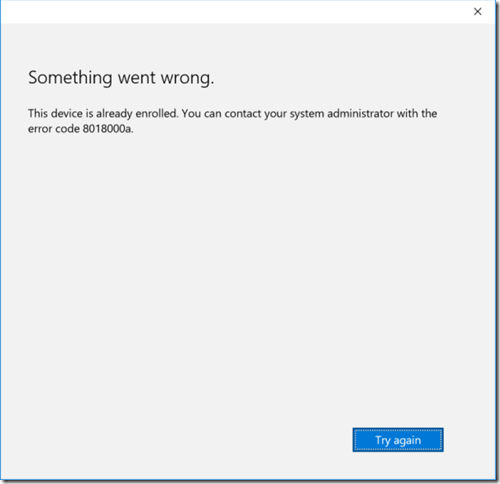 https://osddeployment.wordpress.com/2016/02/27/azure-ad-join-error-code-8018000a by Per Larsen [MVP]. I knew this wasn’t the case. So… read the error again. “the device is already enrolled”. 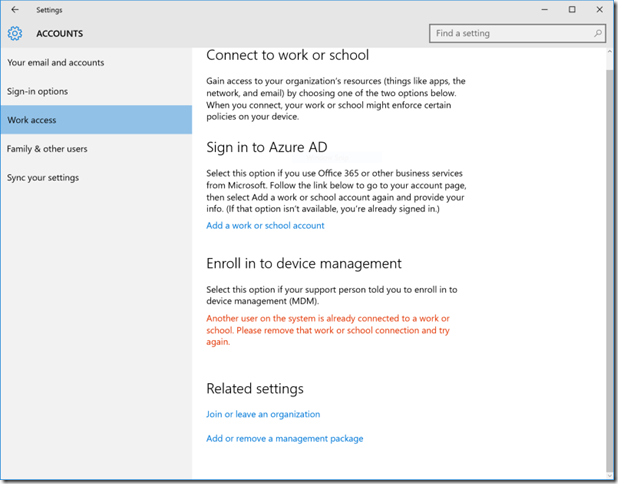 Checking Settings -> Accounts -> Work Access revealed the obvious: the computer was still being managed via OMA-DM (Intune), but associated with a different user. Ok. Log off, then back on as the other administrator account. 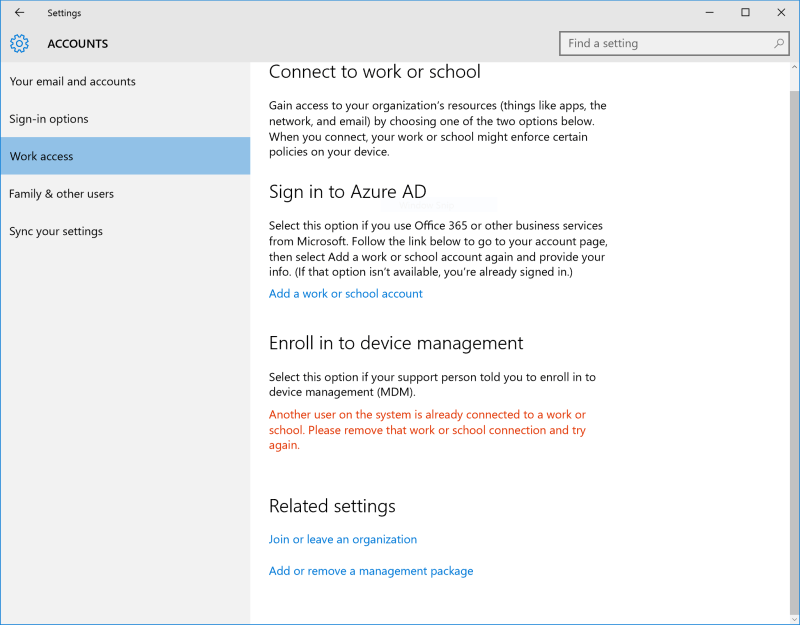 Navigate back to Work Access and sure enough, the MDM enrollment was there. 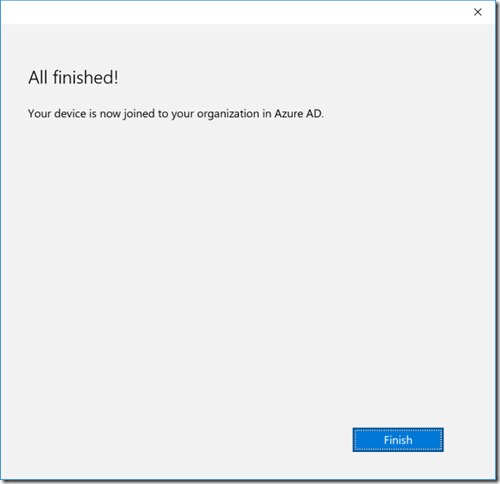 Un-enroll and bingo, Azure AD Join worked!